The Fulbright Program was established in 1946 under legislation introduced by the late Senator J. William Fulbright of Arkansas. The primary source of funding for the Fulbright Program is an annual appropriation from the U.S. Congress to the U.S. Department of State’s Bureau of Educational and Cultural Affairs (ECA). Participating governments and host institutions, corporations, and foundations in foreign countries and the United States also provide direct and indirect support. ECA administers the Fulbright Program under policy guidelines established by the Presidentially-appointed J. William Fulbright Foreign Scholarship Board with the assistance of binational commissions and foundations in 49 countries, U.S. embassies in more than 100 other countries, and cooperating agencies in the United States. More than 380,000 “Fulbrighters” have participated in the Program since its inception more than seventy years ago. The Fulbright Program awards approximately 8,000 grants annually. Currently, the Fulbright Program operates in over 160 countries worldwide. In September 1945, the freshman U.S. 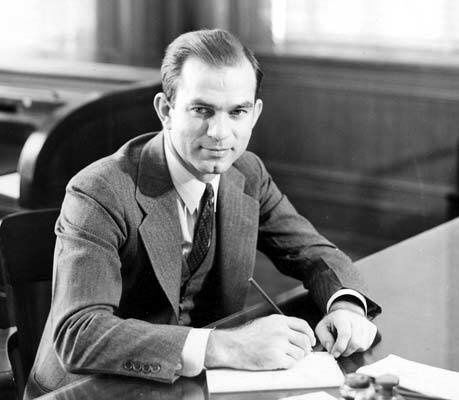 Senator from Arkansas, J. William Fulbright, introduced a bill in the U.S. Congress that called for the use of proceeds from the sales of surplus war property to fund the “promotion of international good will through the exchange of students in the fields of education, culture and science.” One year later, President Harry S. Truman signed the Fulbright Act into law. Today, Fulbright is the most widely recognized and prestigious international exchange program in the world, supported for more than 70 years by the American people through an annual appropriation from the U.S. Congress and by the people of partner nations. The program—working with universities, schools, binational Fulbright commissions, government agencies, nongovernmental organizations and the private sector—actively seeks out individuals of achievement and potential who represent the full diversity of their respective societies and selects nominees through open, merit-based competitions.